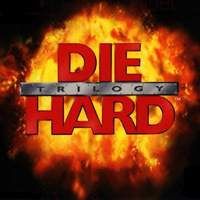 One of the best bangs for your buck early in Playstation’s life was Die Hard Trilogy. Three distinct games in one, each game serving up a different genre. Not only did each game play differently, but they also sported different styles of music. This track comes from Die Hard 3, which offered up the vehicle stages. “Wall Street” does a great job portraying the hustle & bustle environments of New York, while still working well as chaotic driving music. Littered throughout the song are the pertinent sounds of currency. 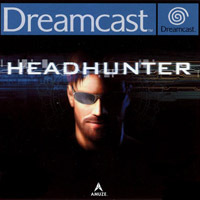 Headhunter might have been the first console game to really prove to myself that high budget orchestral film scores can work perfectly in a game. This specific track is a little different, however. It’s a slightly remixed techno-ish version of the symphonic main theme which would play in the later half of the game, if I remember correctly. I personally digitally ripped this and a few other pieces from the game which didn’t make it onto the official soundtrack CD. I was never able to find the unreleased tracks from any of my sources, so you might consider this a rare download. While the album clocks in at a mere 22 minutes, it’s still made of pure win. 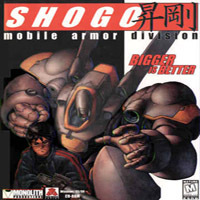 “Shogo: Mobile Armor Division” was released in 1998, and was one of the few Windows titles around that time which made excellent use of Direct-X 6’s music sequencing engine. Something that I really dig about Shogo’s tunes are the flow to the songs. There are hardly any identical loops. The songs are in a constant freestyle evolution until the very end. That may explain why the 22 minutes of music feels like 44. Compressed awesome. The full OST can still legally be downloaded on the developer’s site. Here’s a direct link. God, I love the music of Headhunter and its sequel. Thanks for ripping that one, Moz. If you’d like the other unreleased tracks, get ahold of me. Wow, I havn’t heard these songs in ages! I especially like Die Hard Trilogy.. especially in the third game when the bombs detonate everything catches on fire from the people to the pigeons.. it was pretty weird..
Hehe. Indeed, game music is sometimes misunderstood and would deserve better playback (though the original sound of the gaming device will have a nostalgic tone for the true retro-gamer). Yes, I’ve been following OCR since about 6 months after it was born. I loved the music in Die Hard Trilogy. I thought I was the only one that remembered shogo. loved that game, though it was way too short. I loved Shogo. It had a pathetic wanna-be anime visual style going on, but otherwise it was a great game.